Posted February 28th, 2019 by Admin & filed under detox clinic spring hill. Posted February 15th, 2019 by Admin & filed under pain clinic spring hill. Studies show that chronic pain affects 1 in 5 people in the U.S. alone; it is the main cause of disability and it lessens social function. Our Spring Hill Pain management doctor says that if the pain lasts for more than 6 months it is considered to be chronic pain. Chronic pain is associated with underlying conditions, such as, arthritis, or injury. 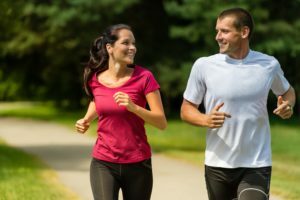 While there are many medical treatment options available, some people tend to prefer more natural techniques to manage their pain, especially if their pain is minimal to moderate. Today, we will be discussing natural remedies that can help relieve chronic pain. Always ask your pain management doctor if these therapies aren’t harmful in your unique condition! Doing any sort of meditation like yoga, breath awareness meditation or mindful meditation is the most effective way of pain relief. Research shows that people with chronic pain who regularly do mindfulness meditation experience a decrease in pain, anxiety and depression. This results in improved mental health. Aerobic exercises effectively help reduce pain because when we exercise our body secretes a hormone called endorphins. This hormone is our body’s natural painkiller. So, when endorphins are released from our body it helps in relieve pain by inducing positive feelings or pleasure. If you want to exercise while experiencing chronic pain our Spring Hill pain management doctor suggests for you to start your routine exercise slowly. Start with brisk walking or other minimal activities and gradually add more intensity and frequency as you progress. Heat therapy and cold therapy can help ease pain and swelling. They are among the least expensive, yet most effective treatments of pain. You can conduct the therapy by having hot Epsom salts baths, which help relax the mind and decrease the pain. Using ice, on the other hand, locally helps reduce inflammation. I therapy is mostly used in the case of acute injuries, such as, abtwisted ankle and sprains. Back spasms, stiff joints, tired muscles are best cured through heat therapy. Fish oil is well known as an alternative non-steroidal drug because of its anti-inflammatory properties, which leads to pain reduction. This treatment has less side effects than other prescription drugs. According to a study patients who were instructed to take 1200 milligrams of fish oil supplements a day reported that their pain was reduce and did stopped their painkillers prescription. Resveratrol is mostly found in foods, such as, peanuts, pistachios, grapes, red wine and berries. It is known to provide many beneficial effects to our body. It is proven to have anti-cancer properties, it protects the brain and eases pain. Try these natural pain remedies in consultation with your doctor and see which one works for you best! If chronic pain is present in your life, visit our Spring Hill pain management doctor. Dr. Eyad Alsabbagh provides specialized care through utilizing state-of-the–art technology and thoroughly evaluating patients’ needs. All of this to determine the most appropriate treatment method, so patients can enjoy a pain-free life. Posted February 5th, 2019 by Admin & filed under pain management doctors in Spring Hill. Posted February 5th, 2019 by Admin & filed under pain management doctors in Spring Hill, work comp Brooksville. One of the causes of pain is injury, for which the pain last for two to three months. But if the pain lasts for longer, it is considered as chronic pain. 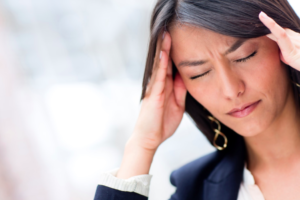 In some unavoidable circumstances, employees get injured or acquire some illness at work. That is why every business establishment with active employees is required to carry workers compensation insurance. This type of insurance program is designed to cover employees who are injured or got sick while doing their job. It also covers lost wages of an employee recovering from an injury. Medical treatments and rehabilitation programs are also covered by this type of insurance. Any type of condition needs immediate medical attention, especially if a person is experiencing chronic pain. If your primary compensation doctor can’t find the cause of your pain, they will most likely refer you to a pain management specialist. Does workers compensation insurance cover a pain management treatment plan? Yes, it generally does cover pain management treatment and here’s the reason why. Medication treatment, including the prescription of pain medication in treating injury. Interventional treatment through injections and other forms of medical procedures. When does pain management take place in workers compensation claims? A pain management doctor may perform several treatment methods after your injury, this depends on your medical needs. Most of the time pain management treatment happens if other treatment methods have not been effective in treating your chronic pain and if your primary compensation doctor has not been successful in discovering cause of your pain. Your doctor or surgeon will most likely refer you to a pain management doctor for further treatment. In some cases, patients receive treatment from a pain specialist due to a neck injury. They may perform epidural steroid injections before undergoing a surgery. There is a special law when it comes to workers compensation claims concerning medical treatment. In most cases, you need a referral from your primary workers compensation doctor so your insurance company can cater your medical expenses. Otherwise, you may end up paying your own medical bill. It is important to make sure that your doctor is authorized in referring you to a pain management doctor. Will the pain management doctor in Brooksville suggest any other medical treatment for me? There will be times when your pain management doctor suggests other medical treatment that is out of his or her expertise. For instance, most people who are experiencing chronic pain feel depressed and may need to be referred to a psychologist for medical treatment. But remember, your primary workers compensation doctor should be the one who refers you for any other treatments because they are authorized to do so. Will opiates and other pain medications be covered by my workers compensation insurance? 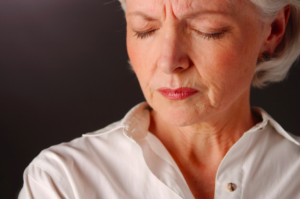 There have been many issues about the usage or intake of pain medications in the recent years. This is because some people abuse them, leading to them potentially becoming addicted or even dead. Due to this, most doctors are now strict when prescribing opiates and other pain medications. There are debates about a special rule that might be passed in the near future when it comes to the prescription of and payment for these kinds of medications. At the moment opiates and other pain medications are covered by workers compensation insurance. 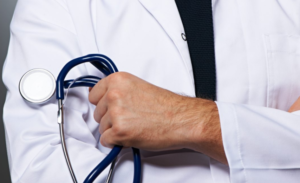 If you have some medical concerns that were brought up as a result of your job, you can consult our work comp doctor in Brooksville and Spring Hill area. He is well experienced in providing the right care that you need for your work related injury, so you can safely go back to work in no-time. Posted December 20th, 2018 by Admin & filed under pain clinic spring hill, pain management doctors in Spring Hill. 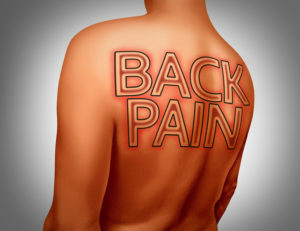 Lower back pain is one of the most common problems on the planet nowadays. Due to long hours of sitting and a scarce amount of time to work out, back pain is bothering more and more people every year – leaving them frustrated and anxious. If you wonder where to go if you start experiencing aches or discomfort in your lower back, take a few minutes to read this guide by pain management specialists Spring Hill. There can be multiple causes of lower back pain. Some of the most common include damage to a muscle or tendon – a strain, damage to a back ligament (a sprain), and a herniated or “slipped” disc (when the soft material inside of a disc between spinal bones leaks and irritates nerves). If you experience pain for more than a week for unknown reason, it’s time to take action, say pain management doctors Spring Hill. Do not panic, however! Many of the above conditions can be solved with the help of a chiropractor or a primary care physician and your commitment to follow their instructions. Pain management doctors Spring Hill urge you not to try to diagnose yourself or to refer to a friend who seems to have a similar issue. Each case is individual and the best practice is to make an appointment with a specialist doctor who can evaluate your problem. A general physician is able to use additional diagnosis techniques if necessary, such as x-rays, and is competent to treat a strain or a sprain. Chiropractors, for example, use posture exercises and manual spinal manipulation to relieve back pain, improve muscle mobility, relax the strains, and help the body heal itself. They can determine whether your issue needs further help of other specialists. Back pain may be caused by several reasons, therefore the help of one or several specialists may be needed depending on your case. Below we describe all the options. A neurologist is a doctor specializing in treatment of conditions associated with the nervous system. If numbness and tingling are the symptoms accompanying your lower back pain, you may want to refer to a neurologist. Some neurological conditions, such as multiple sclerosis, have similar symptoms and your pain may occur to be not spine-related. Neurologist are great at sorting out such things. A physiatrist, a doctor with expertise in physical medicine and rehabilitation. He can be of great help if back pain is a result of a sport injury for example. A rheumatologist – a doctor who treats diseases of the joints, muscles, and bones. Referral to a rheumatologist may be necessary if there are inflammations of the joints in the area of pain. Often, back pain is a sign of arthritis, which rheumatologist will be able to diagnose. A physical therapist, a licensed therapist, will provide you with examples of exercises to strengthen your back and abdomen muscles needed to support your spine and ease the pressure on it. A pain management physician, a doctor who can prescribe medication, provide injections, and consider other approaches. “People with symptoms that aren’t responding to treatment are great candidates for pain management, such as injections or procedures to smaller joints in lower back,” says Dr. Kowalski. An orthopedic spinal surgeon or a neurosurgeon who specifically focuses on spine surgeries. Pain Management & Spine Care’s Medical Director, Dr. Eyad Alsabbagh, is a fellowship-trained interventional pain management doctor in Spring Hill who provides the highest quality of service to patients suffering from multiple conditions, including narcotics addiction and back pain. He utilizes state-of-the-art technology at his pain management clinic in Brooksville. If you wish to find out more about the treatments provided, or to schedule an appointment in our facility, contact us today. Posted December 19th, 2018 by Admin & filed under work comp Brooksville. Workers compensation is a type of insurance used to cover employees if they experience an injury at the workplace or as a result of their job. Regulations regarding work compensation differ in every state, however in most cases it is obligatory for an employer to provide such insurance. And though we never expect to get injured at the workplace, it is important to get familiar with common incidents that may unfortunately occur. Workers compensation doctors Brooksville have compiled the top 9 most common workers’ compensation injuries. Overexertion is a condition when muscles are pulled rapidly and extensively or a joint is forced out its typical range of motion. It occurs often when a person is pulling, pushing, lifting or throwing objects, specifically without keeping safety norms. It is common for people working in the production, construction, or any jobs where physical labor is applied, however can happen almost at any place. Surprisingly, slips, trips or falls in most cases happen because of a simple reason – wet floor. Often the victims are security workers, store clerks or groundskeepers. It is important for cleaning service workers to leave a warning sign on a freshly mopped floor, so that others would be more careful while walking. Other preventive treatment could be a safe non-slippery floor covering, such as a a carpet. Falls from low or average height can be surprisingly dangerous and definitely more frequent. Consider falling from a ladder, a chair or stairs, which happens over all the workplaces. Obviously, occupations such as roofers or construction workers carry higher risk of serious damage to their health – those falls are not as frequent though. A bodily reaction injury may occur when one trips or slips. Though avoiding falling, a person may still have a twisted ankle or sprained muscle, workers compensation doctors Brooksville warn. This can happen to anybody, however those who spend most of the time in motion, such as nurses, policemen, or delivery men are of a greater risks. Retail, stock, and restaurant workers are the most frequent victims of incidents where objects fall from above and potentially strike them. One of the top causes of injury for truck drivers for example, are roadway incidents. This concerns also delivery people, police officers, sales representatives and others whose work requires frequent travelling. Machinery accidents can cause huge health damage if security measures are not followed. Factory or construction workers where equipment used is powerful and large, should undergo mandatory trainings and safety instructions prior to starting the job. Many states have this as a legal requirement because such accidents also cause significant medical cost ramifications. If a worker conducts the same motion for a prolonged period of time he/she may experience wear and tear injuries, also known as repetitive stress injuries. Motions like using a computer mouse or a keyboard, swinging a hammer or scanning products, make your muscles and joints tired and weak first, and then inflamed – resulting in an injury. A static position such as sitting is also considered a repetitive motion, therefore back pain is top workplace injury in office workers, say work comp pain management doctors Brooksville. One way to protect employees from wear and tear injuries is to provide them with an ergonomic workplace, i.e. such that will minimize the negative effect of repetitive action and help people remain comfortable while performing their duties. Pain Management & Spine Care clinic provides multiple services, such as: workers compensation Brooksville, detox, pain management and post car accident support. 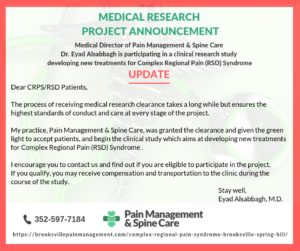 Dr. Eyad Alsabbagh’s clinic, is a fellowship-trained interventional workers compensation doctor, who utilizes state-of-the-art technology at his pain management clinic in Brooksville. If you wish to find out more about the treatments provided, or to schedule an appointment in our facility, contact us today. Posted November 22nd, 2018 by Admin & filed under pain management doctors in Spring Hill. Posted October 31st, 2018 by Admin & filed under car accident doctor brooksville. Florida is a state with a lot of car crashes and, unfortunately, the number of fatalities in Florida auto accidents is increasing every year. Of course, most traffic collisions are not dangerous – or so it seems. Most of the time, people involved in car accidents don’t seek medical attention right away, but this is a huge mistake. Waiting is never a good idea when it comes to an auto accident. The best advice from our car accident doctor in Brooksville is to see a doctor within 72 hours of a collision – the sooner, the better. Whether the crash seemed serious or not, you might not feel pain at first as a result of the adrenaline, a hormone which can trick you into feeling no pain after a car accident. However, even if you don’t have serious injuries and pain is not felt the first day, your symptoms may be delayed. Some injuries have no immediate symptoms, yet after a week or two, you will realize that something is definitely wrong and medical attention is necessary. 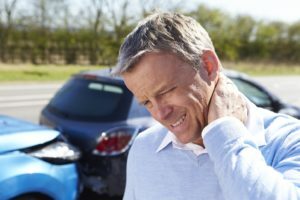 If you or anyone you know has been in a car accident, do not wait any longer to visit our auto accident clinic in Brooksville, where you can find professional care with personalized treatment. There is another important thing you should know. Three days (72 hours) is regarded as a “reasonable” amount of time to get a checkup, according to insurance companies. After this time, there is a risk that they may deny your injury claim as being unassociated with the accident, precluding you from getting compensation. Although this is an extra reason why not to wait to see an auto injury doctor after a collision, visiting the doctor is not only about your injury claim, it’s also about receiving instant medical treatment. The best option is to be seen the same day, or the day after, as there may be the possibility of a concussion, internal bleeding or a fracture. If you’ve been injured and experienced pain after a car collision in Hernando County, visit our auto injury doctor in Spring Hill, where you will receive comprehensive and professional medical care. We provide the highest quality of service to all of our patients suffering from multiple conditions by properly diagnosing injuries and then creating treatment solutions that are customized to meet your needs. Please keep in mind that if you have life-threatening injuries, you should seek medical attention at the emergency room right away. If you have any questions or would like to find out more about our clinic, don’t hesitate to contact us. Posted September 25th, 2018 by Admin & filed under Uncategorized. Posted September 18th, 2018 by Admin & filed under detox clinic spring hill. Have you ever noticed behavioral changes in your friend, colleague from work or even family member, such as a loss of interest in regular hobbies, mood swings, or distancing from family, and wondered what was up? You should know that if someone is abusing drugs, you can expect to see them acting differently. However, not every behavioral change means drug abuse. Drug, alcohol or other kinds of substance abuse are always a serious problem with far-reaching consequences. It’s important to recognize the signs of drug abuse to be able to get help and avoid addiction and other negative effects. Remember, it’s never too late to get started on a new path for success! Professional treatment is not just for addiction. Anyone who is regularly using drugs or other substances can benefit from it. 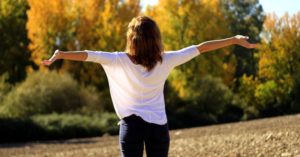 Regardless of the stage of drug addiction, whether it is just regular use or drug dependence, our Detox Clinic in Brooksville is here to help! If you’re worried that you or someone from your family or friends might be using drugs, here are some common signs of drug abuse to be aware of. Unusual mood changes, e.g., more depressed or anxious than usual or extraordinarily euphoric for no obvious reason, as well as nervousness, paranoia or outbursts. If you’re worried that your loved one seems to be on drugs, don’t ignore it. It’s important to look for the common physical and behavioral warning signs of drug abuse. If you notice that some or all of them are present, there are a number of options that can be utilized to receive help. Although we encourage you to continue to observe and learn more about drug addiction, you can also seek professional care or advice at our Detox Clinic in Spring Hill, where our specialists will answer all your questions. At our detox clinic in Spring Hill and Brooksville, you will find the best medical specialists in the area of addiction. Dr. Eyad Alsabbagh, an Interventional Pain Management Physician, is experienced in the field of pain management and addiction, so he knows exactly what patients’ needs and expectations are. 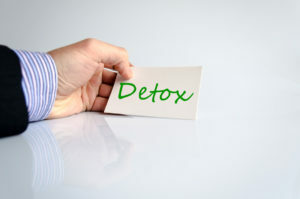 To get the best possible care you can find, we encourage you to make the right decision and admit yourself to our detox clinic in Spring Hill and Brooksville. If you have any questions or would like to find out more about our clinic, don’t hesitate to contact us.